Fritos and Bean Dip with me on the left. 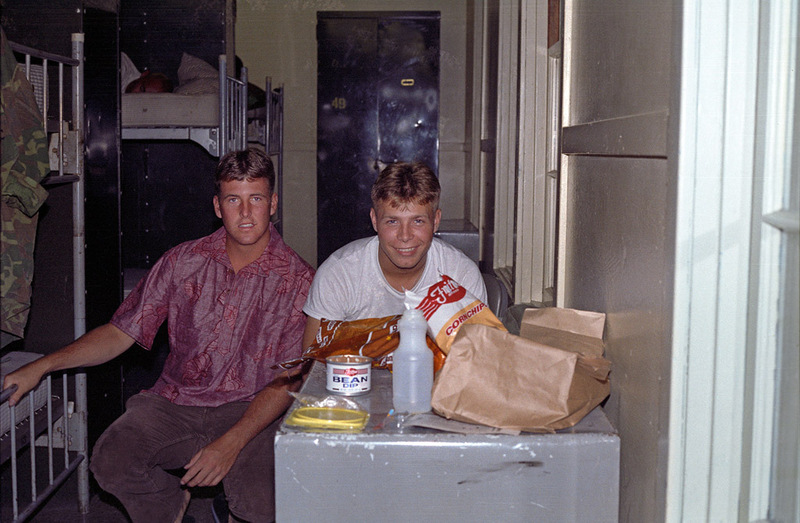 This is in the barracks at PMI School which was over near the main side PX and Commissary. I don't remember the guy with me... Anyone?